When I first arrived on the top plateaus of Serra de Gorongosa in Mozambique I almost immediately found an attractive species of Impatiens. When I later tried to find out what species it was I found specimens at the National Herbarium in Harare (SRGH) labelled Impatiens psychadelphoides but the flowers of my find did not match that species at all in the comprehensive monograph on African Impatiens by C. Grey-Wilson (1980). In fact, no species in that work even slightly looked like it. In 2007 I collected specimens of the plant and in 2009 I contacted experts regarding this genus at the National Botanic Garden in Meise, Belgium. They agreed that it looked very different and likely was a new undescribed species. I was eventually asked if it was possible for me to go back to the site and collect more material in order to facilitate a proper study including DNA research on this plant and its close relatives. Around Christmas 2011, while on a field trip in neighbouring Zimbabwe with Mark Hyde and Petra Ballings, it was agreed to include a short trip to Mt Gorongosa in Mozambique to try and collect more material. This "little detour" turned out into a total nightmare including corrupt border officials, roads from hell, the complete breakdown of the car and the most horrendous weather. I met up with Tonga Torcida and Simba Munyambo who I had worked with previously at Gorongosa National Park. It proved to be impossible to get close to the base of the mountain by car so we had to walk an extra couple of hours before starting the climb to the top. Mark and Petra had already decided then that "this was my baby" and stayed behind with the car. In the end Tonga, Simba and I spent the night at the base and managed to climb to the top, search for the species, conduct a small population survey, collect specimens and go back down the mountain in the continuous pouring rain. We met up with Petra and Mark and as we got into Vila Gorongosa our car broke down. We ended up spending a sleepless night on New Year's Eve in a cheap excuse for a hotel. The next morning, New Year's Day, Tonga miraculously brought round a local mechanic who even more miraculously got the car running again after a couple of hours. We got back to familiar Zimbabwe later that day. Early in 2012 I handed the specimens over to the people at Meise but unfortunately, specialists in molecular phylogenetics are rare and in extremely high demand so it understandably took a long time but now I am proud to say that this lovely, special and rare endemic got published at last. Our current sample image is of Entada chrysostachys. Click on the thumbnail image to see the full image or click on the species name to find out more. Reload the page to see further images of Mozambican plants. 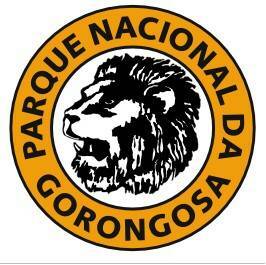 This site provides information about the flowering plants and ferns of Mozambique. This is a sister site to the Flora of Botswana, Caprivi, Malawi, Zambia and Zimbabwe websites, which together cover the Flora Zambesiaca area. The principal contributors to the site are Bart Wursten, Petra Ballings, Stefaan Dondeyne, Sune Holt, Meg Coates Palgrave and Mark Hyde. As of today, Friday, 26 April 2019, we have 6,145 native or naturalised species in the database for Mozambique. There are 27,334 images for 3,485 species, of which 3,418 are native or naturalised and 67 are purely cultivated. The Site history page gives details of the latest additions to the site. There is also a Frequently Asked Questions page. Hyde, M.A., Wursten, B.T., Ballings, P. & Coates Palgrave, M. (2019). Flora of Mozambique: Home page.